Each person has a story, whether that be their life story or a fiction story that they thought of as a kid­. However, most of these stories are never heard because few people choose the grueling and difficult career path of being a writer. 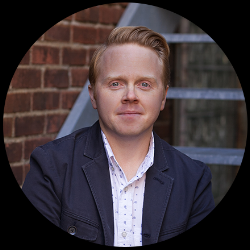 But, for those that are looking for inspiration or motivation on their journey, Jeff Goins’ book You Are A Writer, is here to help. At roughly 130 pages long, Goins book is incredibly short. But in the case of this book, less really is more. Goins cuts out any unnecessary information and only keeps what readers will find to be helpful. Goins starts the book by saying that the world is filled with closest artists and authors–people who want to pursue a creative craft but are afraid they will fail. To overcome this, one must believe in themselves and start acting like the person they’re supposed to be. Goins writes that before anyone else will believe in you, you must first believe in yourself. A person must declare themselves a writer and accept the fact that although they are starting from the bottom as a beginner, they will have the opportunity to grow and make their craft into something great, if they are willing to put in the time and work. Once a person proclaims themselves a writer, the next step is, unsurprisingly, to start writing. However, this doesn’t mean waiting till one feels motivated or inspired. It means, writing every single day, without excuses. Just as professional weightlifters workout every day, writers must do the same. As with all muscles, even creative ones, the muscle gets stronger the more one practices. Goins writes that there will be pain in the beginning. There will be days when you don’t want to write, and there will be days when have almost no time, but good writers must practice. Professional writers take the time to write, craft and edit their piece until it is right. Then they spend hours or days revising it. Finally, they must be able to take criticism and feedback in a positive light, and use it to make their work better. The genius part, Goins writes, is in the editing process. It is a constant cycle of writing, getting feedback, and rewriting. Every word counts. If a writer is simply trying to fill the page with unnecessary words, they are wasting the reader’s time. To be a great writer, one must write with passion, says Goins. Passion is contagious and helps make the work deep and true. Not only does it make the writer’s work better, it will help create a connection with readers. Once readers feel a connection, they will slowly spread the writer’s message and soon a community will be formed. To spread their message, a writer needs a platform. This can be anything from a blog to a newspaper column or social media site. From there, writers should work on their craft by posting often and seeking feedback. There’s no such thing as an overnight success, so instead of expecting a book deal right away, writers should focus on gradually building up their community of fans over time. Having published several books and become a regular contributor to several magazines, Goins gives examples of ways writers can pitch their work for to magazines and guest blogs. Most writers shouldn’t be surprised if they get rejected. Goin notes that this happens to all writers without exception. In fact, early in his career, Stephen King kept his rejection letters and pinned them above his writing desk. Each “no” helps a writer build thick skill, and over time getting rejected will have little effect on a person. 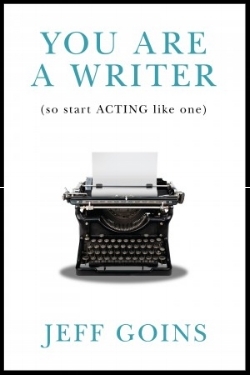 Overall, Jeff Goins gives readers a practical guide to becoming a writer, improving their writing, and getting published. Now all that is left is for you to start.